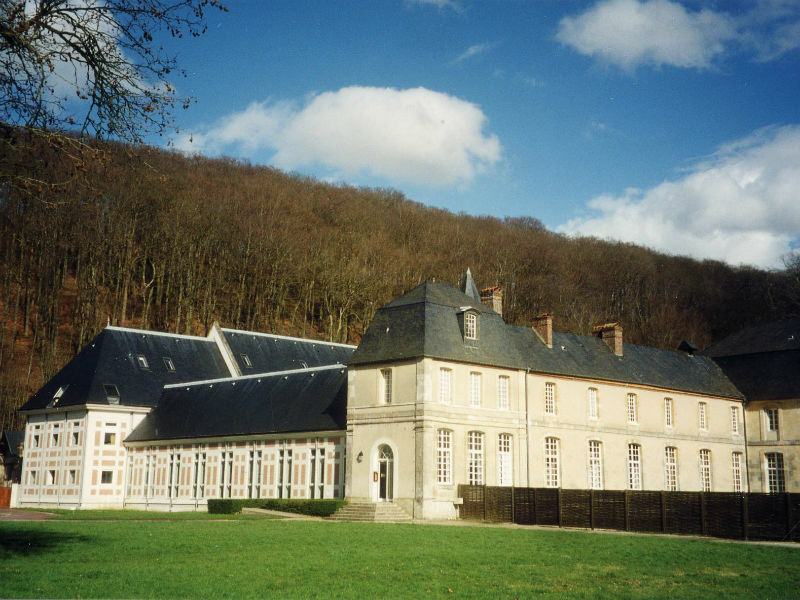 Founded in 1169 by Nicolas d’Estouteville, grandson of a companion of William the Conqueror, the abbey was entrusted to an order of Benedictine monks who had separated from the Abbey of Hambye in the La Manche region. After the revolution, private owners lived at the site for 200 years, and in 1994, the Benedictine Community of Lisieux purchased the building. Gregorian sung Mass is held on weekdays at 9:45am, on Sundays and bank holidays at 10am. Evening vespers at 5:15pm. The church (except for the Virgin Chapel) is open to visitors every day from 11am to 12pm and 2.30pm to 5pm. Opening hours : Gregorian sung Mass is held on weekdays at 9:45am, on Sundays and bank holidays at 10am. Evening vespers at 5:15pm. The church (except for the Virgin Chapel) is open to visitors every day from 11am to 12pm and 2.30pm to 5pm.